Jen-Hsun Huang, Nvidia President and CEO, has revealed that the company’s next-generation Ion platform will support VIA’s Nano CPU, as well as the Intel Atom family of processors. Huang revealed the news in a sit down discussion with Taiwanese tech site Digitimes, in which he reportedly said that the Ion 2 platform is already in development and will arrive later this year. 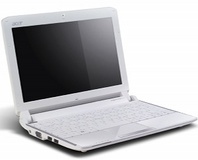 Announced in December last year, the first-generation Ion boards are targeted at both the netbook and small form factor PC markets, and are built on a tiny motherboard that incorporates an Intel Atom CPU, as well as an Nvidia chip that contains a Northbridge, Southbridge and GeForce 9400M GPU on a single die. 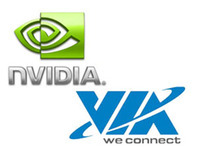 However, Nvidia has been rumoured to have had a Nano-supporting chipset in the works since the middle of 2008. The move to supporting VIA’s Nano CPU on the next Ion platform would enable Nvidia to deliver a complete PC system without any involvement with its immediate competitors – Intel or AMD. Huang hasn’t been afraid to give his opinion about Intel after the company initiated legal proceedings against Nvidia at the beginning of this week. The claims revolve around Nvidia’s claims that it has a license to make chipsets for Intel’s CPUs that have an integrated memory controller, and Intel says that Nvidia has no such license. Speaking frankly in an official statement, Huang claimed that "at the heart of this issue is that the CPU has run its course and the soul of the PC is shifting quickly to the GPU. This is clearly an attempt to stifle innovation to protect a decaying CPU business." The statement also implied that the reason for the legal dispute was Intel’s fear that the Ion platform would threaten its stronghold, saying that "innovations like Ion, SLI, Hybrid Power, and CUDA threaten Intel’s ability to control the PC platform." Unafraid to put the boot in, the statement also pointed out that "when combined with a CPU, Ion enables a two-chip PC architecture for Intel processors two years ahead of Intel’s own solution. In addition, the Ion platform offers 10x the performance of Intel’s current three chip design." Nvidia spokesperson Ben Berraondo responded to this story, with the following statement: "Nvidia's goal is to give the consumer choice to pair an Ion GPU with their preferred CPU. In this vein, Ion will support multiple CPUs including Intel Atom and VIA Nano." Derek Perez, Director of PR at Nvidia, has also informed us that the company plans to support both Intel Atom and VIA Nano CPUs with the next-generation Ion platform.